Does a wide range of product washing and chilling. The flow of water is fully controllable for just the right wash. 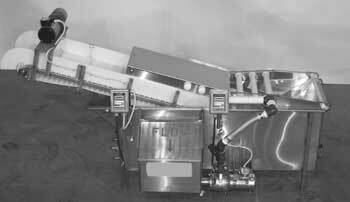 Tip out conveyor for fast and easy cleaning.